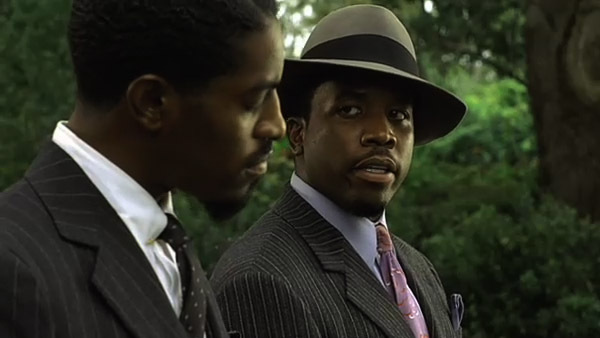 Idlewild takes place at a speakeasy in the South in the thirties and stars the men of Outkast: AndrÃ© Benjamin and Big Boi (aka Antwan A. Patton). The story is of the relationship between a piano player (Benjamin) and the club’s showy manager, played by Patton. The movie also stars Ving Rhames, Terrence Howard, Paula Patton, Patti LaBelle, Cicely Tyson and Macy Gray among others. Outkast also did the music for the movie which, judging by the trailer, sounds amazing. Can’t wait.